Sets the connection given by: connection_id to use FQDN-based authentication. This will remove any other authentication type set for the connection. Please note that domains themselves are not added through this endpoint. Please see the FQDNs endpoint for operations involving adding and removing domains. 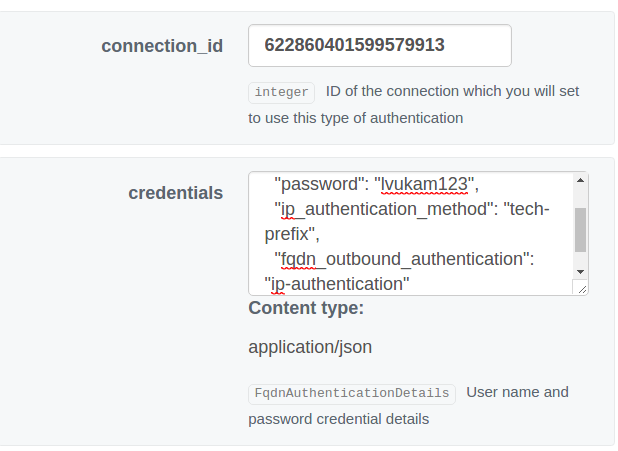 The fields user_name and password are not required for this authentication type, but the connection will be unusable on outbound profiles if they are not set. To do this click on the Mission Control API link on the left hand side, and click connection_fqdnauth then continue as follows. Congratulations! 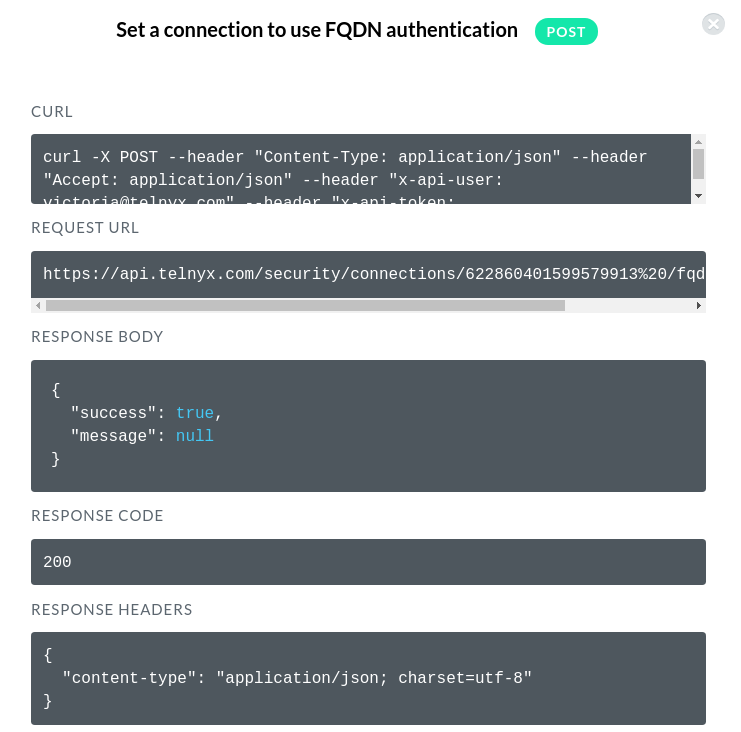 With the above success response, you have set FQDN-Authentication for this connection.